Squire’s Garden Centres are a very successful 80 year old company with 15 centres in Surrey Sussex and Berkshire. Their smallest site is on Holloway Hill, Chertsey. Until 2 years ago it was also their head office. It was a delightful garden centre with a charming listed building at the entrance containing a shop and checkout till. Although limited in stock compared to most centres, the stock was always interesting, I would say at times exciting, top quality and could be delivered locally at very reasonable rates. An advantage to me was that it was only one mile from my home so I could walk there, up and down hills, and get useful exercise on the way ( I am a Fitbit addict). Sadly two years ago they closed down quite suddenly, with the plan to open within the year upgraded and with a cafe-bar!!! Fantastic!!! The plan did not quite go to order, as of summer 2016 there was no sign of any development – I can only guess that there was problems with planning permission (Surrey Council again thwarting positive ideas for Chertsey). However about two weeks ago I noticed that the land had been flattened – the lovely listed building still standing at the entrance. And today I see that steel stantions have been erected and it is all in action as a building site. A sign outside suggests that it will be opening in spring 2017, but my enquiries at their Horsell site suggests that it might be open as early as Christmas this year!!!!! A press release in the “Surrey Advertiser” states. ‘Squire’s Garden Centres is getting ready for the opening of their newly rebuilt garden centre in Chertsey in early 2017 by recruiting people for various full-time and part-time retail and catering . Positions include a Garden Centre Manager, Assistant Garden Centre Manager, Restaurant Manager, and various full-time and part-time Sales and Catering Assistants. You must be able to work alternate weekends and be available to start around the end of November 2016. Squire’s is a successful family-owned garden centre group with 15 centres across Surrey, Sussex, Berks’. “What is believed to be the oldest licensed pub in Surrey has closed, just four months after celebrating its 400th birthday. Metal shutters have been pulled down over the windows and doors of The George in Guildford Street, Chertsey, bringing four centuries of trade to a halt. It is not the first time the pub has closed. Time was called for a brief period in 2012 but now some locals fear the Grade II listed building will not remain a pub. Floral House resident Gordon Coxon, 83, was a regular but has heard rumours that it won’t return as a public house. “I have lived here about five or six years and have tried to be a regular because it is the nearest pub to Floral House,” he said. “The reason I am concerned is because of a rumour of it being turned into a fish and chip shop, which for a pub with that history is a bit naughty really, isn’t it? Chertsey has such a big history. I would be quite disappointed if that happened. The George is believed to date back to 1613 when it was known as The Prince’s Arms. By 1770 it went under the title of The Boot. The third, and longest standing name, came in the late 18th century following a visit to the pub by King George III, when its current moniker was adopted. And just like any self-respecting pub, it is also rumoured to have a resident ghost. The pub held a weekend of activities at the beginning of August to mark its 400th birthday. Emma Warren, curator of Chertsey Museum, said: “It is a very beautiful building and in a town as historic as Chertsey we need to hang onto as many old buildings as we possibly can. “Fortunately, as it is a listed building, any new owners won’t be able to change it too much. Typical Runnymede Councillor who claims to not know why it is closing – it’s her job to find out such things!!! “Hundreds of concerned villagers attended an exhibition for plans to build Longcross Village – 1,300 homes on green belt land near Chertsey. Around 600 people visited the three-day public display at Longcross Studios, starting last Friday, showing plans for the DERA site. The presentation outlined plans by developers Crest Nicholson and Aviva Investors for the southern portion of the site, which would be known as Longcross Village, and would cater for more than 1,000 homes, plus a school and amenities. A Crest Nicholson spokesman said: “We are not trying to persuade visitors. It is just a consultation to let them know our plans and it is really just an introduction to the site. The exhibition began with an overview of the history of the site, before progressing through the village plans, the green spaces, the ecology of the site – including wildlife of note – the masterplan, and an overview of the whole scheme. The plans have been tailored to address many of the concerns the public had already raised. The exhibition occurred just days before Runnymede planners confirmed their intention to remove the DERA site from the green belt for development after approving its local plan core strategy paper on Monday night, which will now be submitted to the Secretary of State. Rather than having traffic going into the smaller villages, the development has been laid out with the aim of channelling the majority of traffic out at the eastern side, towards Chertsey, rather than to the west, towards Chobham and Windlesham. It is hoped that the 30-hectare country park proposed at Trumps Farm off Kitsmead Lane will alleviate any pressure on Chobham Common, which many campaigners fear will be adversely affected by the proximity of the proposals. Ray Walker, a Thorpe resident of 50 years, visited the site on Friday morning with his wife Marjorie. He said the exhibition was well organised, but he doubted whether the plans were suitable for the area. He said: “The purpose of the exhibition was clearly to try to reduce opposition to the scheme when it is submitted for planning permission. “Unfortunately, Runnymede Borough Council seems to see this as an opportunity to satisfy all their obligations under national policies, such as affordable housing, on a single site and the developers are clearly going along with this in order to secure planning permission. “This is likely to result in developments that are out of keeping with the locality. “Business leaders were shown a developer’s intentions for thousands of new homes in Runnymede at a breakfast forum last week. The Runnymede Business Partnership’s well attended event was held at the Runnymede-on-Thames Hotel last Friday morning, where Crest Nicholson’s group board director, Chris Tinker, gave a presentation on the company’s plans for “a new Surrey village” at the former-DERA site at Longcross, near Virginia Water and Ottershaw. Attendees were told a business park creating around 5,000 jobs and 200 homes would be built in the northern section of the site, which is bisected by the M3 motorway, with a further 1,300 homes in the southern section, that would have schools and community amenities. Using a slide show combining maps, photos and artist’s impressions, Mr Tinker said the site would be split into distinct suburbs, depending on the existing characteristics of the area. Some of those included “New Longcross” a family oriented area, “Longcross Avenue” running parallel to the motorway, “Surrey Views” an elevated section with split-level housing and the “Wooded Valley” where homes would be styled like German eco-houses. He said the whole site would feature energy-efficient low carbon buildings. Mr Tinker said homes on the site would range from £250,000 to several million pounds. Mr Tinker compared the development to the King’s Hill estate in Kent, and said as well as creating new jobs it would allow Runnymede Borough Council to fulfil a significant portion of its required target for new homes. Nick Robinson is director of accounting company Power in Numbers, which is based in Kitsmead Lane, which borders the site. He said he still had concerns over the effects of increased traffic, but had been quite impressed by the plans. He added: “We would obviously prefer if there was not going to be 1,500 homes out the back of us there, but being as it is inevitable as it has been going on so long now, we were actually quite surprised by how well they had done it with the layout. The plans for the former tank testing site have been met with strong opposition from environmentalists due to the 310 acre area being very close to Chobham Common a National Nature Reserve, Special Protection Area and Site of Special Scientific Interest. James Osborne, chairman of The Chobham Society, was reluctant to comment on the meeting as he was not there, but said he and fellow protesters were using the council’s public consultation on its local development plan, which runs until Friday, to air their concerns over traffic, the effect on the environmentally sensitive common and the need to remove the site from the green belt for the development. The Chertsey-based boutique was recently nominated in The Telegraph’s 2011 Independent Shop Awards. It’s a quirky, hidden gem squirreled away in the town’s historic backstreets, with the advantage of on-site customer parking. A constantly updated range includes: Cuddledry, Nui Organics, Frugi, Bambino Merino, Purepotions Skin Salvation and so, so much more. A friendly team is trained to help you make the best pre-baby choices (we know deciding on baby furniture, bedding and clothing can be daunting when you’re new to parenthood!). You can order in-store and still have items delivered free to your door. We also have some lovely gift ideas for a new mum or baby. Choose from organic pampering kits, wooden rattles, super-soft cashmere booties – the list goes on. Open Monday to Friday 9.30am til 5pm. If you want to visit outside these hours give them a call and they will try their best to open for you. New housing development in Chertsey ready for sale from plan. VIEW 500 yards from this Cala Homes development . This looks like a positive housing development for Chertsey – attractive properties on a brownfield site in the heart of the town. 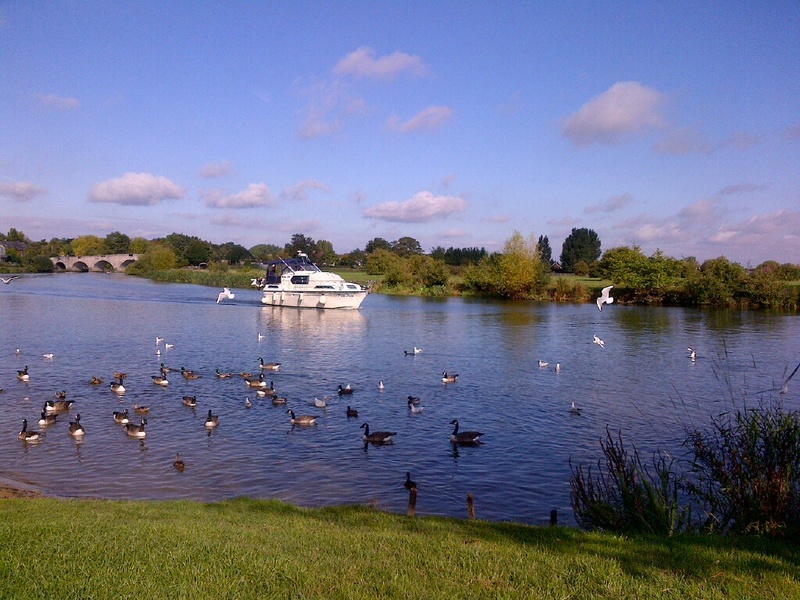 Update 05/09/13 – I have visited the site of this development and although there is nothing to be seen yet, it is in a lovely position – backing on to greenbelt countryside which leads to both the Bourne and Thames rivers within easy walking distance. I obtained a brochure and am impressed. Sixteen four-bedroom properties are to be built in a modern Regency style to a high specification. Prices will commence from about GBP 500,000.
update 14/10/13. Have found out that this site was previously a run-down mobile home site! This is a win-win for Chertsey – 16 high spec £500,000 houses in place of about 50 run down mobile homes!!! Chertsey is ripe for regeneration – but has been for at least the last 50 years. Successful regeneration is a gradual, often 20 year process, in which an area becomes desirable and homes appreciate exponentially in value. It sits in the centre of the fabulously wealthy Surrey ‘Golden Triangle’ of Weybridge, Esher and Virginia Water, but the same properties in Chertsey are only 60% of the value of the other three towns. One of the most important factors in successful regeneration is the type of homes available. Decent quality housing stock is a prerequisite. Chertsey has an abundance of quality period properties, as noted before there are more Georgian buildings in Chertsey than in any other town in Surrey. There is also a plentiful supply of Victorian terraces throughout the town as well as many double-fronted villas with bay windows. Parks and green spaces are also important and again Chertsey has these in abundance. However these have been depleted in recent years as the Council an developers collude in covering every open space with dense packed cheap housing. The same applies to the shopping area, Guildford Street and Windsor Street, where the majority of the shops are period properties but look very down at heel filled with Charity shops, pound shops, fast food outlets and bookmakers. The main problem here is the ridiculous rents and rates imposed by the Council that drive out innovative and attractive small businesses. I know these problems are being suffered by most small high streets, but most high streets do not have the charm and period properties of Chertsey. The ugly products of these shops do not attract quality customers. What Chertsey needs is small individual up-market shops, certainly none of the chain stores.